Harry Potter actor Matthew Lewis has revealed that he would "definitely" be interested in starring in his own spin-off films. Lewis played Harry's bumbling classmate Neville Longbottom in all eight films based on JK Rowling's bestselling novels. The final big screen adaptation, Harry Potter and the Deathly Hallows – Part 2, came out in 2011. Rowling has recently completed the script for Fantastic Beasts And Where To Find Them, a Harry Potter spin-off film focusing on Newt Scamander, the 'author' of one of Harry and Neville's schoolbooks at Hogwarts. Warner Bros has confirmed that the film will be the first in a planned trilogy to be released in 2016, 2018 and 2020. 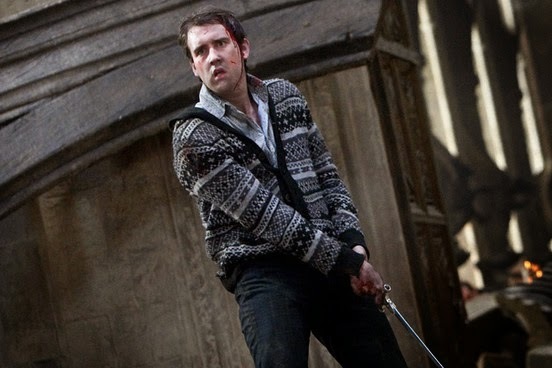 Asked about reviving Neville Longbottom for a Harry Potter spin-off series of his own, Lewis told RadioTimes.com: "If it came to it that I was offered that sort of deal – I want to say I'd consider it – but I'd probably jump at the chance, absolutely! I'm not itching, just yet, but I’d absolutely, definitely consider it, and love to be considered for it." Continuing, Lewis joked that he is looking forward to watching the new Harry Potter spin-off film series without having to see himself on the big screen. "One of the things that ruined all the films for me was that I had to watch myself in them – it was a nightmare," he said. “But I can go to watch the new films without any kind of fear of my own performance."